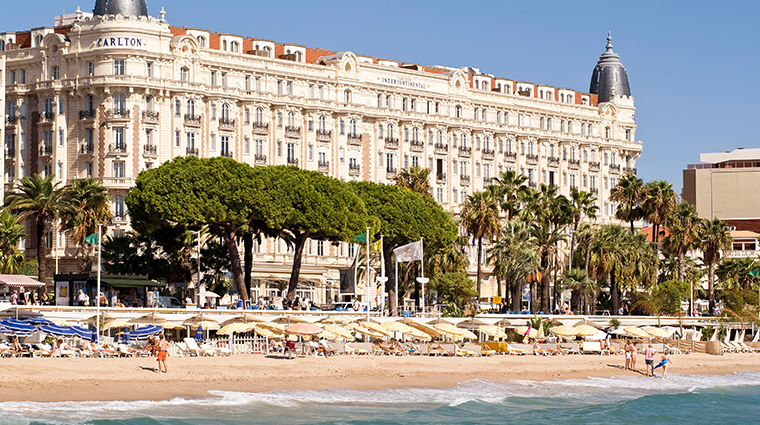 Over the past century, the impossibly glamorous InterContinental Carlton Cannes on the Boulevard de la Croisette has been the backdrop for movie moments captured both on and off camera. 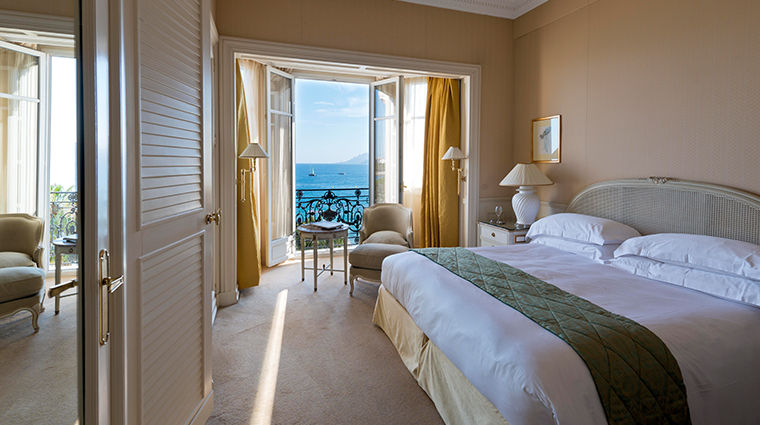 Hitchcock shot his romantic thriller To Catch a Thief with Grace Kelly and Carry Grant in suite 623 — which still exists today — and a year later during the Cannes Film Festival, the actress met Prince Rainier of Monaco in the hotel's Belle Époque-style Grand Salon. These days you don't have to be a celebrity to feel like one at the Carlton — a night in one of the seventh-floor prestige suites, named after the silver screen stars who stayed in them, will do the trick. The rest of us can revel in the grand dame’s luxurious trappings, including the marble-and-pillar-clad lobby, the see-and-be seen alfresco dining terrace and the private beach that melts into the Mediterranean Sea. Cary Grant and Grace Kelly can be seen sunning on the Carlton's beach in To Catch a Thief and the iconic parasol-lined private plage still draws a cool crowd (and quite a few celebrities) during the prime season (April to October). If you'd rather relax away from the heat, book a treatment at the Cannes hotel’s beauty salon, which offers massages, facials and red carpet-worthy makeup. Fashionistas will be in seventh heaven in Cannes, which is famed for its luxury boutiques. The prime shopping spots on Boulevard de la Croisette and Rue d'Antibes are a short walk from the hotel. While dining at Carlton Restaurant, be sure to at least ask about the thousands of vintages tucked away in the wine cellar, which doubles as a tasting room. During events like the Cannes Film Festival, many people choose to host meetings at the Carlton Bar, which transforms into a booming lounge come nightfall. Elizabeth Taylor also stayed here seven times, under seven different names, each time she was married to one of her new husbands. 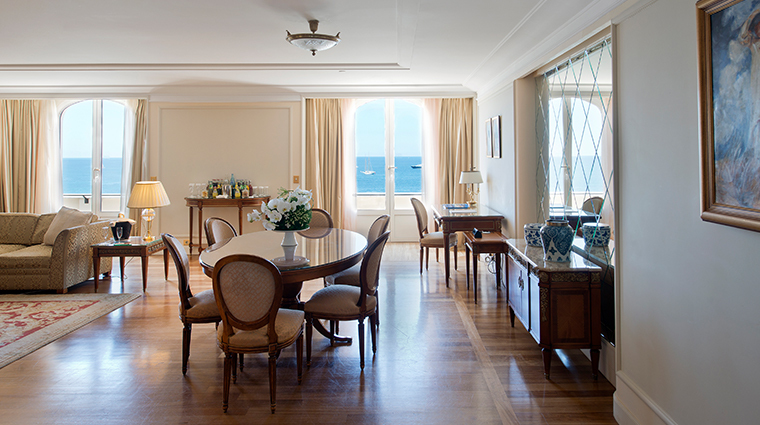 The opulent Grace Kelly Suite has hosted a slew of celebrities, including George Lucas, Katy Perry, Cate Blanchett and Angelina Jolie and Brad Pitt. For a memorable stay, book Alfred Hitchcock's Suite 623 from the film, or opt for one of the nine Prestige Suites named after stars like Sean Penn, Sean Connery, Sharon Stone, Cary Grant and Sophia Loren. Rooms have classic furnishings, large picture windows, rich tapestries and gleaming hardwood floors; many are decked out in Old Hollywood glamour or Belle Epoque-style flair with lovely views of the beach and beyond. Specialty suites here are exactly that — opulent accommodations named after stars and frequented by them. 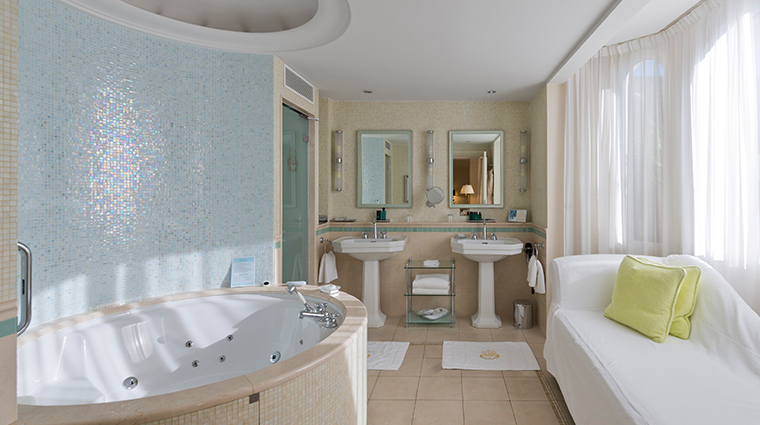 Perhaps the most luxurious room of all at almost 3,000 square feet, the Grace Kelly Suite spans two rooms with two bathrooms, a salon and dining room, and a terrace overlooking the sea. The largest of the Prestige Suites — the Sean Connery — measures more than 4,000 square feet and has a more contemporary design and its own private elevator. Fine French and Mediterranean fare is served at Carlton Restaurant, which spreads out on the terrace overlooking the Croisette and Bay of Cannes. This legendary spot is a prime place to people watch and indulge in classics like roasted king prawn and lamb fillet. A seasonal beach eatery serves breakfast and lunch with a regional-inspired buffet on the weekends. The gilded Nikki Beach Le Petit Bar near the lobby is a tucked-away spot perfect for champagne and cocktails minus the crowds.